Exercise of the Week: March 14th | Are You Being Real? In the next 48 hours, go approach someone that catches your attention and have a conversation. This is the exercise of the week from author and millennial motivator Jake Ducey, and this week’s guest on The One & Only Podcast. How many people have you missed out on the opportunity of meeting because you didn’t know what to say or have the courage to approach them and strike up a conversation? For me, a lot…too many to count. With that said, I am committed to making the most of my life and what presents itself from moment to moment, and as a result, this was a perfect exercise for me this week. I approached two people that caught my attention this past Friday night, and met two awesome people! What worked was getting out of my head and being myself, and now I have two beautiful new friends. Take this authentic dare and let us know how it goes below in the comments. 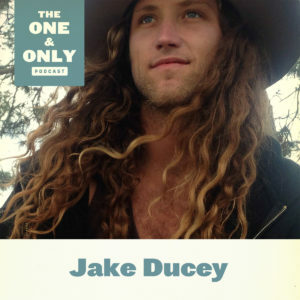 For more from Jake, tune-in to The One & Only Podcast, where he shares some amazing stories about courage, how to make a positive impression when meeting someone new, and the power of smiling.